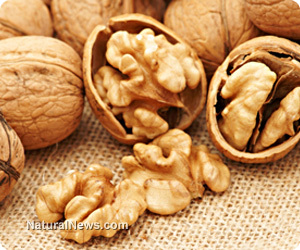 Lead study author, Dr. Jordi Salas-Salvad commented "How nuts are able to prevent premature mortality is not entirely clear, nor why walnut should be better for you than other nuts. Walnuts have particularly high content of alpha-linoleic acid and phytochemicals..., along with fiber and minerals such as calcium, magnesium and potassium, may contribute to their healthy effect." Past studies have demonstrated that walnuts in particular are a beneficial part of a healthy diet and are the best source of antioxidants, containing twice the amount as normal nuts. Researchers also note that people who ate nuts had a lower body mass index and smaller waist. Further, this group was found to be more physically active and less likely to smoke. The study authors conclude "Questions about specific constituents, amount, duration and type of nuts to be consumed remain to be elucidated. Meanwhile, we might need to focus on the question of how to better promote nut consumption in the population and sustainably integrate it into the daily diet." Nutrition experts recommend replacing one daily serving of fruits and vegetables with a one ounce serving of raw nuts to significantly lower the risk of dying from heart disease and cancer.